Two of the V8 Engine Winner created doughnut after they completed the V8 Supercar Street Challenge 3 during the third day of Kuala Lumpur City Grand Prix 2015. We arrived at Bukit Nanas street right before the V8 Supercar Street Challenge was ended and we are lucky to witness on how the two V8 Engine Winner created doughnut. A doughnut or donut is a maneuver performed while driving a vehicle. Performing this maneuver entails rotating the rear or front of the vehicle around the opposite set of wheels in a continuous motion, creating (ideally) a circular skid-mark pattern of rubber on a roadway and possibly even causing the tires to emit smoke from friction. 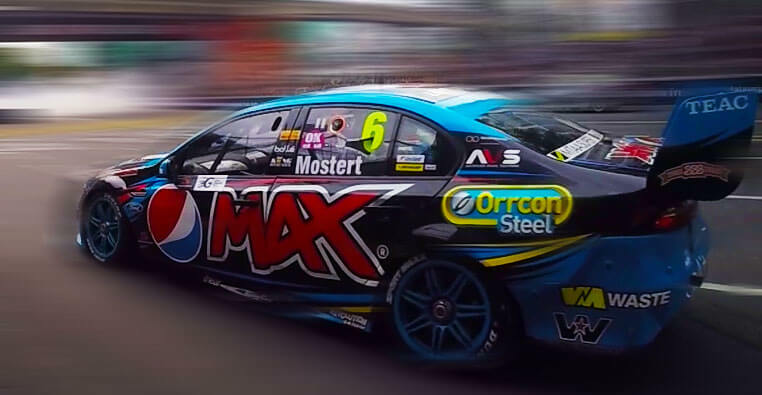 The two V8 Engine Winner Created Doughnut were Scott McLaughlin who under the sponsorship of Volvo Polestar Racing and Chaz Mostert who is under Pepsi Max Crew. We never expected that this two drivers will show off their drifting their skills during the race. The first one performed the doughnut drift is Scott McLaughlin and then when Chaz Mostert arrived he also do the same. The street of Bukit Nanas were filled with smoke coming coming from the burning tires of Scott and Chaz cars. The other racers slows down as they arrive to to place, because the smoke is very thick that you can even see the cars of Scott and Chaz after they drift. Thanks to Jo Laz for the video.